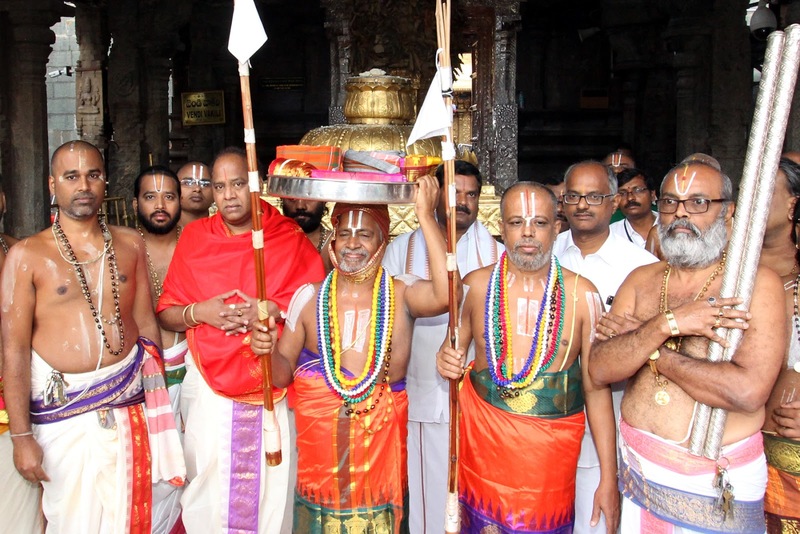 Tirumala, 7 November 2018: On the auspicious occasion of festival of lights, Deepavali, the traditional ritual of temple court was.observed with religious fervour in Tirumala temple. Sri Malayappa Swamy along with Sridevi and Bhudevi were seated on Sarva Bhupala Vahanam in Garudalwar Sannidhi. The divine Commander in Chief Sri Vishwaksenula varu was also seated adjacent to the deities. Later Asthanam was performed. 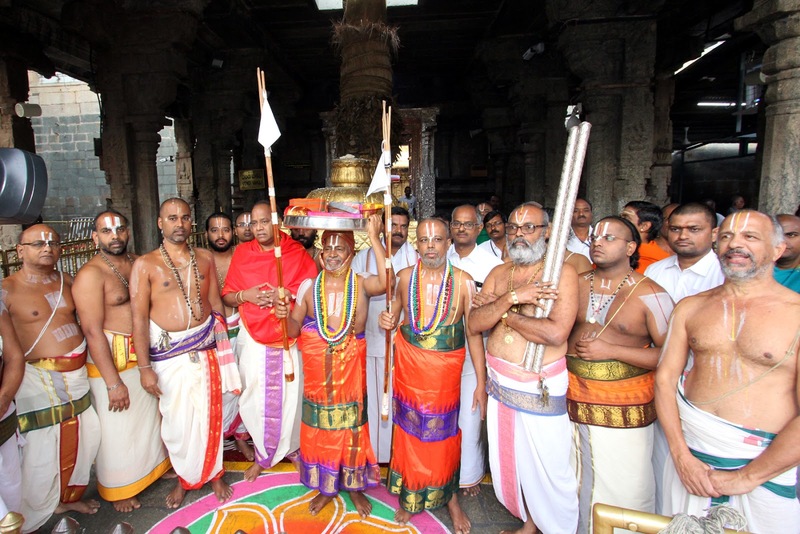 After Asthanam Harati was rendered followed by Prasada vitarana. HH Tirumala Pedda Swamy, Chinna Jiyar Swamy, Tirumala JEO KS Sreenivasa Raju, DyEO Temple Harindranath, SE II Ramachandra Reddy and others were also present.